A new approach to the study of religion is using cognitive science to try reach a new understanding of religious behavior and thought. Cognitive science of religion is a 20-year-old field that uses methods from disciplines such as anthropology, philosophy and psychology to understand how our minds acquire and transmit religion. The first undergraduate course in North America dedicated to this study is being taught in CSUN’s department of Religious Studies. “The actual area of research started in the 1990’s when a group of scholars…got together and were disgruntled with a few things within the study of religion,” said Claire White, assistant professor at CSUN who teaches the new course titled: Cognitive Approaches to the Study of Religion. Traditionally the approach to religious studies had been to study and analyze a specific religion. Scholars prior to this created an approach to religious studies that focused on discovering the similarities amongst religions rather than focusing on the particulars of any one religion. 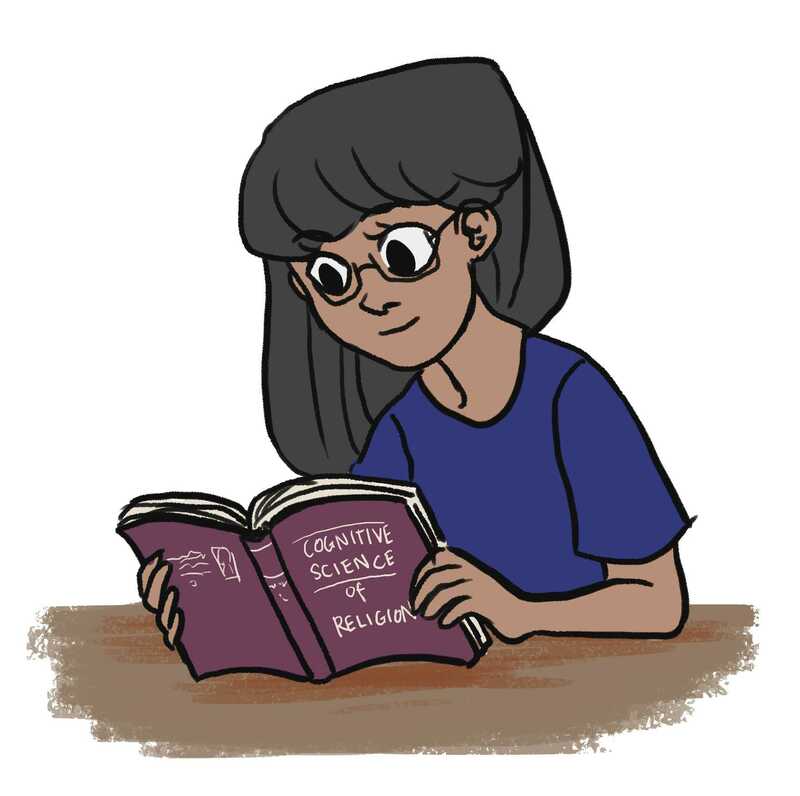 To explain the similarities among religions, researchers in cognitive science of religion take an interdisciplinary approach to examining religion, which means they use theories and research methods from a range of fields to evaluate religions. What this interdisciplinary approach allows them to do is not only analyze religion from say a cultural perspective like an anthropologist would but also from a physiological or philosophical perspective. And, by using theories and methods from a variety of disciplines they can comprehensively examine a particular religion or a religious practice to find components in it that are common among all religions. By using an interdisciplinary approach to studying religion, researchers in the field get a holistic understanding of the cognitive process behind religion. And, ultimately the cognitive aspect of this study is the focus because it allows researchers to understand how and why religion develops in the mind. “They think that there is something about the mind that constrains and facilitates the way religion is expressed,” Kelly said. Essentially, what researchers like White have realized is that religion develops similarly to speech or language. White began her study of the cognitive science of religion as a student in Europe. She earned a Ph.D. in the cognitive science of religion from Queen’s University in Ireland and taught in a few European universities before coming to CSUN. She says that the professors in CSUN’s department of Religious Studies have been very receptive to her, and her study and explains it is exceptional because one: she is actually a psychologist and says having a psychologist in a religious studies department is really new and normally just flat-out doesn’t happen and two: there are misunderstandings that some people hold about the cognitive science of religion. White’s course has attracted students from a variety of majors some of whom go on to join her student research group.